Two-way player Markel Brown tied a career high with 41 points and set a new career high with 12 rebounds to lift the RGV Vipers to a 117-111 win against the Iowa Wolves in the team’s return from the All-Star break on Friday at Wells Fargo Arena in Des Moines, Iowa. RGV was in action for the first time since Feb. 13 and moved to 24-17 on the season. With nine games remaining, the Vipers are 1 1/2 games behind the Austin Spurs for the Southwest Division lead but stand atop the wild-card race in the Western Conference. Three wild-card teams advance from each conference, meaning RGV sits three games clear of the postseason cutoff. The Texas Legends (23-17), Reno Bighorns (21-16) and Oklahoma City Blue (20-19) are the next leading teams in the wild-card hunt. On Friday, Brown netted his 41 points on 12-of-19 shooting, including 4 of 9 from beyond the arc, plus 13 of 15 at the free-throw line. He also had four assists against three turnovers and three steals. RGV two-way player R.J. Hunter scored 20 points on 6-of-18 shooting and 2 of 12 from 3-point range, Houston Rockets assignment player Chinanu Onuaku netted 16 point with 11 rebounds and five assists, Tony Wroten had 13 points and Chris Walker scored 10 points with six rebounds off the bench. Houston Rockets assignment player Zhou Qi also chipped in eight points, eight rebounds and five blocks for the Vipers. RGV shot just 7 of 36 (19.4 percent) from beyond the arc but connected on 34 of 56 (60.7 percent) from 2-point range. The Vipers got off to a slow start on offense and the Wolves capitalized, taking a 14-4 lead with 6:31 to play in the opening quarter. Iowa led 30-23 after the first period and 57-50 at halftime. RGV opened the second half with a 13-2 run to take a 63-59 edge and carried a 92-82 advantage into the fourth quarter. The Wolves retook the lead in the final period, using a 10-0 burst to pull ahead 102-97 with 4:24 to play. Iowa’s advantage was six points with less than two minutes remaining before Wroten scored a 3-point play and Hunter knocked down a 3-pointer on consecutive possessions to tie the game entering the final minute. Onuaku then scored a putback dunk with 57.7 seconds to play to give RGV the lead. After Iowa answered with a layup to knot the score, Onuaku made a pair of free throws for a 113-111 edge with 26.5 seconds remaining. Iowa turned the ball over on its next possession, and Brown and Hunter each hit two free throws to ice the win. 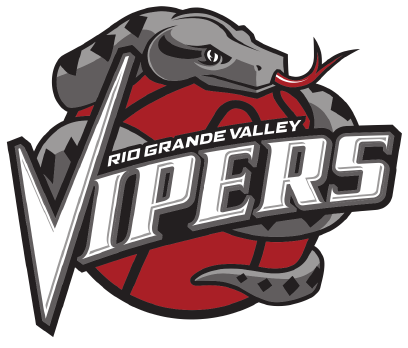 RGV returns to action when it travels to visit the Austin Spurs on March 2.